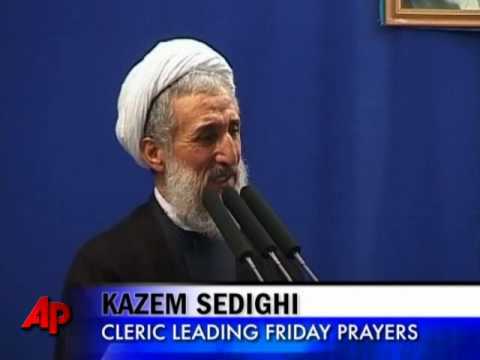 Tabnak reports in Persian on the bombing of the chief Shiite mosque in Zahedan, the capital of the largely Sunni Sistan and Baluchistan Province in southeastern Iran, which left at least 27 dead and 169 wounded. A summary of Sadiqi’s sermon can be found here. It is echoed by PressTV. Tabnak notes that many (conspiracy) ‘theories’ have been put out on the motives for the attack, but that these were laid to rest when Jundullah, a small terrorist group based in Baluchistan and led by Abd al-Malik Rigi until his recent execution, claimed responsibility. The article goes on to quote John Brennan, the deputy National Security Adviser to President Obama, roundly condemning the bombings. Tabnak, a relatively conservative newspaper, is associated with failed presidential candidate and former head of the Revolutionary Guards, Mohsen Reza’i, and its editors are slamming the conspiracy theories of Iran’s radical right wing, as exemplified by Sadiqi, which see an American hand behind these bombings. Reza’i ran against Mahmoud Ahmadinejad in last year’s presidential campaign, and he has been critical of alleged irregularities in the election results. Iran had hanged captured Jundullah leader Abd al-Malik Rigi in mid-June. His brother Abdallah was executed in Zahedan around the same time. So the organization had a lot to take revenge for. Junduallah says it is working to better conditions for the Baluch ethnic group in Iran, which is Sunni and non-Persian, and so differs both in religion and mother tongue from Iran’s majority. Sistan and Baluchistan is the poorest of Iran’s provinces and its people the most neglected. Rigi denied he was a separatist, but Jundullah does have Baluch separatist tendencies. Iran accuses Pakistan, Saudi Arabia and the US of helping the group, If so, there is already some blowback associated with the black op. Jundullah has carried out terrorist attacks in Pakistan, as well as against Iran.